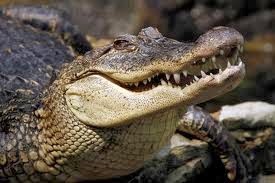 Songs of Eretz Poetry Review: New Poem: "crocodile blood"
"crocodile blood" is a science fiction 5-7-5-7-7 tanka inspired by Kim Stanley Robinson's Blue Mars. The piece is a poetic expression of how crocodile blood genes might be fused into human hemoglobin via the immortality treatment, resulting in humans being able to tolerate the high CO2 Martian atmosphere. KSR describes the process as follows. So, by genetically altering human hemoglobin with crocodile hemoglobin, the humans populating the Mars of KSR's universe were able to breath the terraformed Martian air, that still contained CO2 at levels normally toxic to humans, without using carbon dioxide filters.